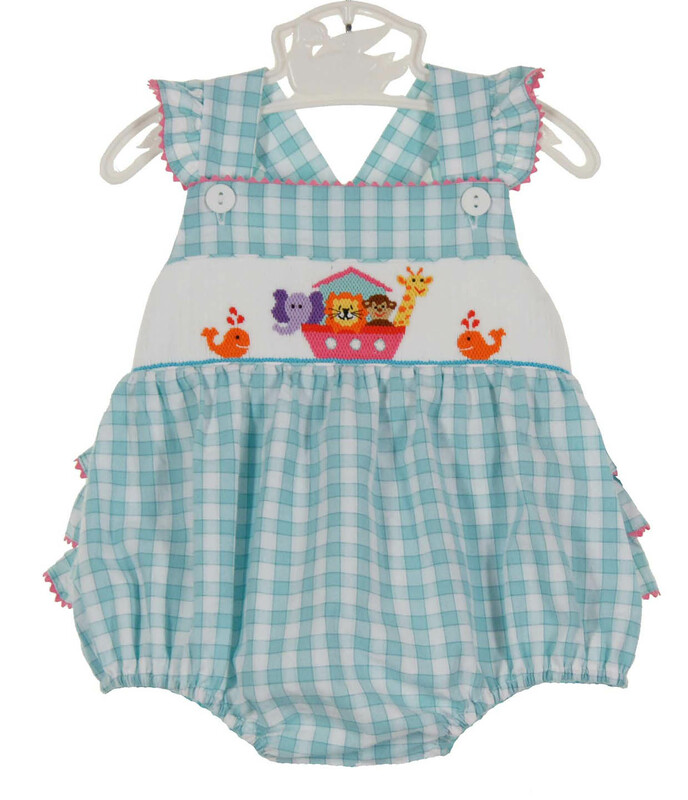 This darling aqua checked smocked sunsuit is made by Anavini, a leading manufacturer of classic smocked children's clothing. 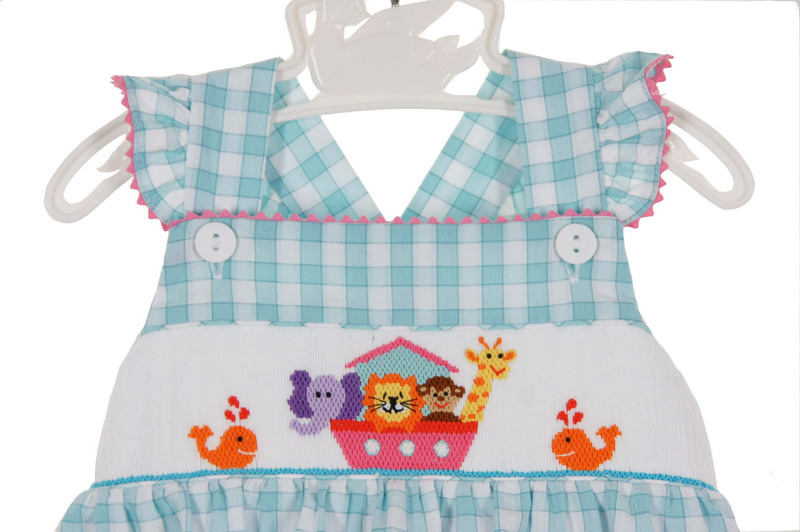 Perfect for a summer day, this sunsuit has a band of white smocking on the front with embroidered animals in an ark. 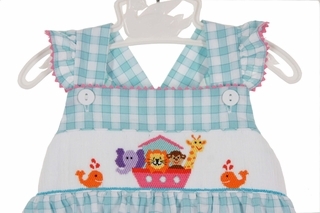 The ruffled shoulder straps, trimmed in pink rick rack, cross in the back and button in the front. 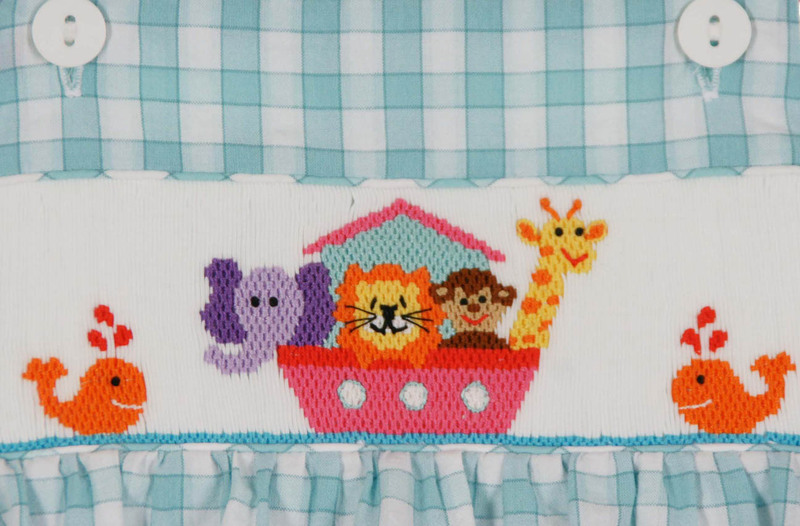 Three rows of rick rack trimmed ruffles flounce the bottom of this sweet sunsuit. Elasticized leg openings and crotch buttons ensure easy changes. Matching boys shortall is also available. See below.